Solitude IGR (Zoetis) Pelleted Feed Thur Fly Control. 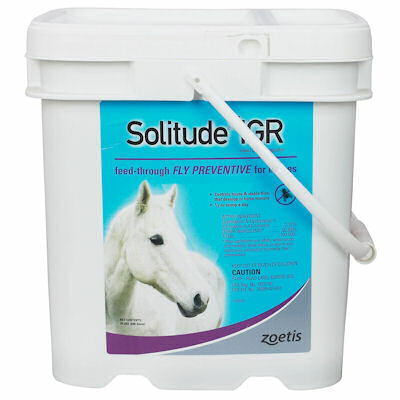 Safe for all horses (pregnant mares, stallions, foals and miniture horses). It contains cyromazine, an insect growth regulator that dramatically reduces the number of house and stable flies by preventing immature flies from developing into adults. As existing adults die off, the overall fly population is significantly reduced within 4 to 6 weeks.